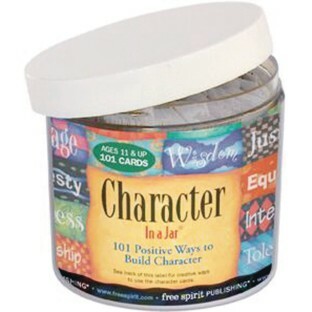 Build, rebuild or reinforce positive character traits at any age. Perfect for one on one therapy discussions, in the classroom or with any group activity program. 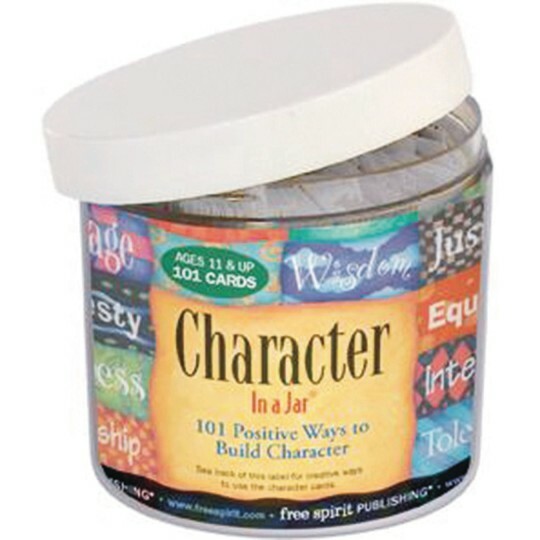 Inside the jar are 101 little cards (2" x 2-3/4") printed with words or phrases: Caring, Giving, Service and Sharing, Empathy, Citizenship, Cleanliness, Patience, Compassion, Tolerance, Cooperation, Reliability, Being Punctual and many more. Use them as discussion-starters or writing prompts. Act them out, talk them over, or plan ways to live them every day.